That song from Sesame Street keeps going through my head! 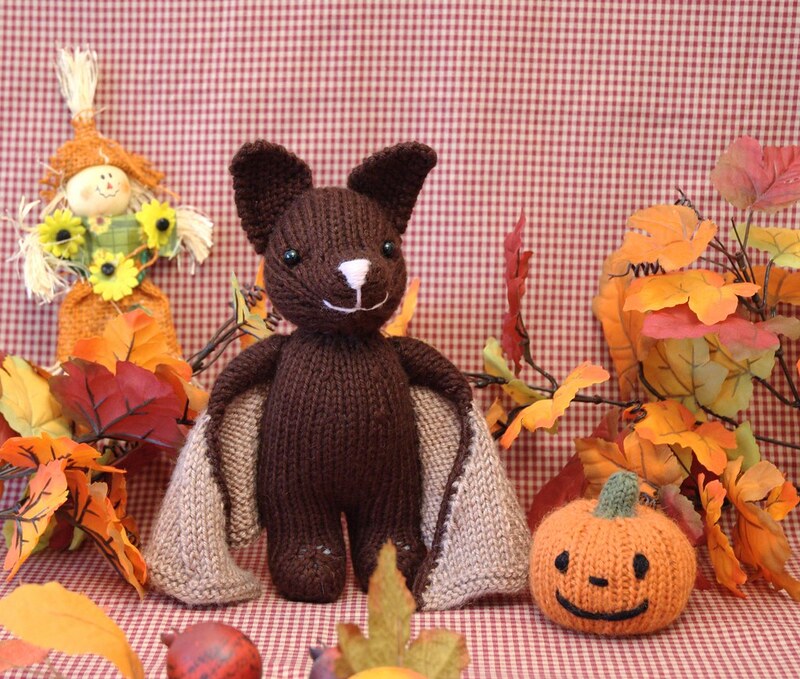 Just a little later than I thought, here's the Bat pattern, all ready for you (Etsy and Lulu). I must thank my lovely friend Amanda, plus Jocelyn and her knitting group, for test knitting this pattern for me. They didn't seem to have any major trouble with the pattern, so hopefully it will go smoothly for those of you who try it. The trickiest part is probably finishing the nose, and I might see about knitting up another head so I can get some clearer photos for you (just in case). I'll probably get this pattern up on Ravelry later this weekend. Please post your photos, so I can see how your bats turn out! For those of you who don't know what Ravelry is, here's a good place to find out. If you're interested, sign up! It usually only takes a few weeks to get in, and there are so many great things about it. Posted by Barbara Prime at 12:22 p.m.
do you have a link to your ravelry ID? September 6, 2008 at 1:42 p.m. I'm getting one the second it hits Ravelry. TOOOOO CUTE!!!!!!!! September 6, 2008 at 9:44 p.m.
September 7, 2008 at 2:01 a.m.
September 7, 2008 at 9:12 a.m. I want it, want it, want it! That's so cute! I bought a few patterns of yours already but this one will be the next (oh and the reindeer!!). I just finished one of your little characters and put a photo of it on my blog - please come and have a look! September 7, 2008 at 2:56 p.m.
October 2, 2008 at 5:11 p.m.